Our boutique Konstantin Art Gallery was recently featured in Bella magazine. We are very proud to be involved with helping talented New York artists and photographers to display their work. We thank all the guests for making “VITAL Portraits” exhibit opening reception such a great success. 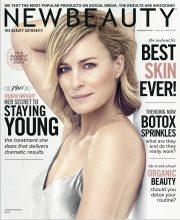 Dr. Konstantin Contributes to New Beauty Magazine Article. Dr. Konstantin provides insights to New Beauty Magazine on how to rejuvenate the skin around the eyes. Combination of blepharoplasty, Botox and skin resurfacing can improve the appearance of crepey skin around the eyes. 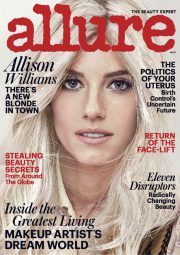 Allure magazine features Dr. Konstantin’s innovative procedure – Endoscopic Facelift. This procedure utilizes most recent advances in endoscopic surgical technology and is designed to enhance the result of both traditional and minimally invasive facelift. Click on the link to read the full article. Watch Dr. Konstantin perform the procedure. The return of the facelift – Dr. Konstantin interviewed by Allure magazine. The renewed interest in facelifts is a featured story in March issue of Allure magazine. As one of the top facelift surgeons in New York, Dr. Konstantin was interviewed for this article. Please read bellow “The return of the facelift”. Dr. Konstantin was invited to appear on Good Day New York morning show to talk about facelifts before 40. We thank the hosts Rosanna and Greg for making us feel welcomed and for the opportunity to discuss this important topic. Please watch the video segment bellow.